20 miles into the race I felt a gripping and ripping feeling though my left hamstring. The hot sun was beaming down over the open prairie and I still had another 30 miles to run. I was “gently” reminded of a few lessons that may help you on your journey through life. 6 Lessons I Revisited While Surviving A 50 Mile Run Through The Everglades. 1. Success lies on the other side of comfort. To say I was uncomfortable was an understatement. My legs started cramping at mile 20, leaving me 30 miles to appreciate discomfort. I say this in jest but it was a blessing. Over those 30 miles I went through many physical and emotional peaks and valleys. When you are at you low it seems like it will never end. Then almost like a light switch the body finds a new source energy that propels you forward. Don’t be afraid of discomfort, of change, of pain because on the other side you come out stronger and more appreciative. 2. Surround yourself with people who make you better. It’s mile 36 about 7 hours into the race and I have been “running” solo for about 2 hours in grassland prairies with only the percussive sounds of my steps and the hollow sound of my breath to keep me company. I thought I was hallucinating because I heard a new beat that complimented the staccato of my steps. It was another person. Not just any person but Krystle an experienced ultra-marathoner that had run several 50 milers and 100 mile races. Over the next few hours we walked, ran, and talked. She encouraged me and essentially helped me get to the finish-line. Who are those people that will help get you to the finish line? 3. Stop and smell the roses. Don’t miss the beauty of life’s journey because you are too focused on the destination. At the beginning of the race I all I could see was the floor because I was running too fast and needed to pay attention to my footing. When my legs cramped up, I had to walk. My gaze slowly came up and I was so engrossed in the beauty that surrounded me. I wish I had a camera so that I could share the beauty that surrounded me. All I have are the mental images I now take with me forever. How often in life do we get so focused on the destination that we forget to enjoy and appreciate the journey. Your experiences lie in the struggle, in the environment, in the people we meet. I am so glad that I physically got to experience that first hand with this challenge. 4. Stopping may advance you more than going. So many times in life it will get hard, we will want to stop because it hurts. But if you want to truly advance, you may need to stop. Rest, recover so you can go the distance. Knowing what to eat on race day is important. Know what the weather will be is important. But the most important preparation takes place months before as you put in the mile daily to callus your body to be able to handle the stress of the 50 miles. It is done a little at a time so your body has time to adapt and build itself up a little stronger than the day before. Life’s preparation are determined by the daily habits you create. Will your current habits serve you or bring you down? The choice is always yours. “Patience is a virtue,” is a phrase you’ve undoubtedly heard but have you ever experienced it? This race allowed me to feel the repercussions of impatience. I ran too hard at the beginning and my legs cramped. It also allowed me to build my “patience muscles” as well. 9 hours 38 minutes is a long time to be out running. When times get tough patience will be your ally to overcome any obstacle. Like water flowing through the Grand Canyon. Sometimes the water flows fast, other times it is just a trickle but that consistency over time slowly wearing away the walls and the floor that produced this spectacular wonder of the world. Do you have the patience to become that magnificent wonder to the world? None of the above were new lessons, just an opportunity to live them, to experience them, and to practice them. It is nice to be reminded about them. Growing up as a runner this was one of my favorite quotes. When I say survival is not sustainable, what I mean is if you wish to have good health, happiness, function optimally you can not operate under this state of emergency. Think about the hustle of your morning ritual. For most people it starts off with the sound of an alarm. 1. a sudden fear or distressing suspense caused by an awareness of danger; apprehension; fright. 3. an automatic device that serves to call attention, to rouse from sleep, or to warn of fire, smoke, an intruder, etc. Primitively, these alarms were as a result of imminent danger, like a lion was about to attack. Our body’s briefly undergo the same physiological reactions when we wake up this way. We continue diving deeper as the morning continues. Let’s move on to breakfast. Most people skip it or opt for the coffee and some high sugar doughnut or danish that spikes the insulin and drains the adrenal glands. If they do eat breakfast, it is in such a hurry that that body can’t properly digest it causing more alarms go off in the body. Now we get in the car to be greeted by a sea of stressed out, caffeine pumped individuals in survival state, trying to get to work before the next alarm bell rings. We’ve allowed ourselves to be trained like Pavlov’s dog moving from alarm to alarm. It’s time to take control of your mornings and break the Pavlovian chains by creating a morning ritual that serves you, your health, and those around you. Perform this morning ritual for 1 week and see how your day and week goes. Don’t judge it for the result initially just stay consistent with the challenge. Make up your mind at the end. Enjoy. 3. Say 20 things you are thankful for. 4. Prepare a green juice the night before so you have more time in the morning. 5. Don’t listen to the radio. Put on a self development CD or a meditation CD. If you are taking the kids to school ask them 10 things they are thankful for. Alternate between each of you until you each say 10 things. These are not time consuming nor really difficult things to do. Here is the secret. Last week I shared how I dealt with the thief who stole my phone. This week I want to focus on the most valuable commodity we have and who is taking it from us. We are the biggest thief in our lives. We steal an expensive, rare, and high demand commodity on daily basis. The thing is that we don’t necessarily see the value in it until it is too late. There are no police to patrol and stop you from doing it. I am talking about TIME. We frivolously spend it, we unconsciously waste it. We only have 24 hours or 1,440 minutes or 86,400 seconds every day. The question is, what are you doing with them? How are they serving you? I was thinking about my phone and realized the thing that bothered me the most is the time they robbed me of. That got me thinking about other things that rob my time. There are times that TV can be beneficial but rarely. I noticed this a 6 years back when my wife and I canceled our TV for financial reasons. I started reading. That year I read 12 books, which was more than I had read in a long time. Now we still don’t have TV and I read > 24 books per year. Much better use of my time. There is a great line that says, “Are you using technology or is technology using you?” Social media if not carefully monitored can easily consume your time. I am so guilty of this. I often rationalize that I need to be doing this for my business. The truth is, yes, social media is a great tool to connect and build a closer bond but it can easily turn into a distraction. Set chunks in your day to check and enjoy it but don’t do it at all times. I don’t get so many emails but I find myself checking it often. I know many of my clients get 50 or more emails daily. Have a plan for dealing with them. Most emails are not that important. Have a secretary screen them, or set filters to screen them. Chunk them and only check it 1-2 times daily. As an example, check them at noon and at 4 pm. Take it off your phone so you wont be tempted. What ever you do, don’t check your email first thing in the morning. “Email is someone else agenda for you.” Start your day on your terms. You know who I am talking about. Those people that you dread speaking to, always negative. Those people that leave you drained. Surround yourself with uplifting people that give you energy. I remember being a kid and making the mistake of telling my dad that I was bored. He started taking me to work (construction) at 5 am. Needless to say I never felt bored again. Even if I was, I’d find something to do. Read more, learn more, have more fun, do something you love. Life is too short to be bored. *As an aside, boredom leads to overeating. Recently someone stole my phone. They literally walked into my office and decided they needed my phone more than I did. I consider myself having an amazing life. I have nothing to complain about. But as soon as this happened I felt threatened. Some of that “the world is great” thinking was jeopardized. My thought process see-sawed between love and compassion and becoming Dirty Harry. For those of you born after 1985 this reference may elude you. Just know that Dirty Harry liked to take the law into his own hands with a big gun at the end of it. Now think about how experiencing events like these on daily basis can skew your outlook on life? Should I be jaded and think that all people are bad? Some are bad but most are not. I don’t know the guy who stole my phone so I can’t say if he is a bad guy. It is not for me to decide who is good or bad. I believe his actions towards me were bad. He stole my property. People do some pretty crazy things in extreme situations. Think about how far you would go to provide and protect for your family? Like I said maybe he needed more than I did. I think people are inherently good. I treat people as if they’re good, unless proven otherwise. I know some may say that I am being ignorant and in some situations borderline dangerous. Peace of mind is very important to me. If I walked around thinking that people were always out to get me I would have no peace of mind. I refuse to live that way. That doesn’t mean I won’t prepare because I don’t think anything bad will happen. I choose to live in a world of possibilities, a world where every one has a chance at becoming the greatest and grandest version of themselves. To be clear, I don’t believe anyone is entitled to it. I believe if you want it, you must take actions towards creating the life you want. I want to thank everyone for your support. I have received so much help, offers for phones, and genuine compassion. I am extremely grateful. Live each day with purpose and appreciate the real important things in life. PPS – Thanks again for being in my life and having the interest to spend your time reading my writing. Truly an honor. 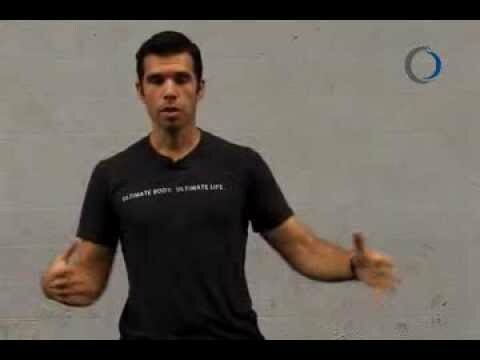 Lifestyle Physical Therapist Armando Cruz shows you how to improve your balance by improving your proprioception. Balance is important for all that you do. It aids in daily activities like walking, reaching, bending, sitting. It also greatly impacts performance in sport and more dynamic movements such as running, jumping, and cutting. 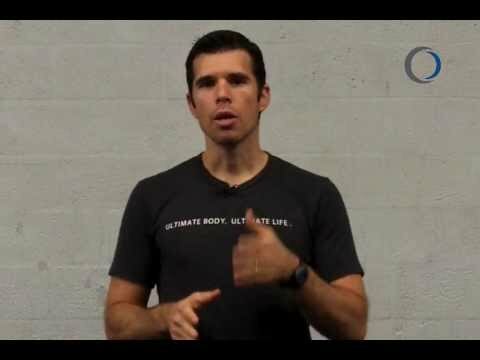 Use this tapping technique to bring clarity to your body’s mapping system. When your body’s mapping system improves it allows you to move more freely. Watch the video for a better understanding how to do the tapping techniques and read the latest article Armando wrote (image below) in the CBS 4 Magazine that goes into more detail how balance will affect your life. Leave in the comments section below.